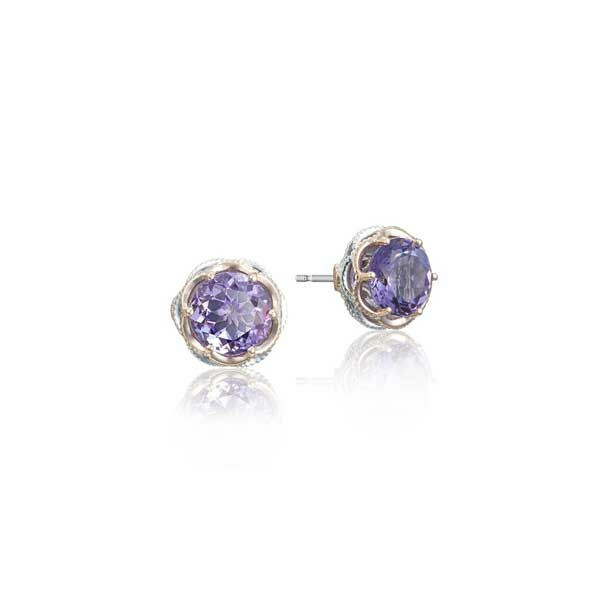 A lovely shade of lilac will blossom from your earlobes with these exquisite stud earrings from Tacori's Lilac Blossoms collection. Gorgeous amethyst gemstones rest in sterling silver baskets that are laced with an 18kt rose gold trim. Enjoy the vibrant pop of color that invades your style with these radiant Tacori earrings.